It is a yew tree growing in the churchyard of Llangernyw, Wales, and its core trunk died long ago, leaving its current appearance: several huge trunks having separated from the original. These trunks did not sprout after the original died, but were homogeneous sections of the original until its core died, whereupon they separated and continued to live off the same roots. Without the core, counting the tree’s rings cannot be accomplished. The trunks have a total circumference of about 33 feet. Yew trees are extremely difficult to age, even with radio-carbon dating, and thus, their ages are usually estimates. This one is estimated to be at least 4,000 years old, and may be 5,000, making it the third oldest known, living, single organism on the Planet. It is not merely still alive; it is still getting bigger. This species of Yew grows very straight, and its wood possesses extraordinary strength, flexibility, and durability, making it the best wood, by far, for English longbows. 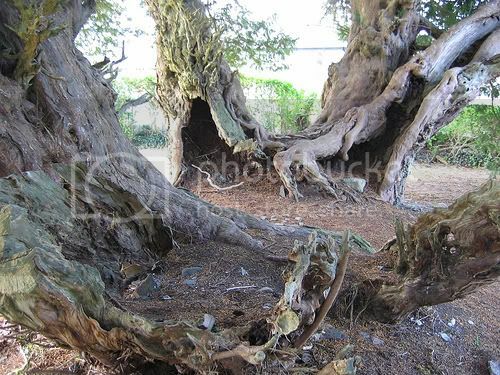 It is generally accepted that because the Llangernyw Yew grows in a church cemetery founded about the 1200s AD, it escaped being cut down for such use throughout most of the English longbow’s storied history. 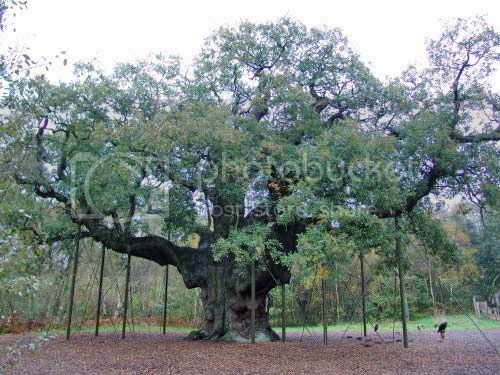 It is believed that if there was a Robin Hood, he and his merry men took shelter under this tree, and even inside its trunk, when Sherwood Forest was much larger and easy to disappear into. It is at least 800 years old, and maybe 1,000, making its use by people of Robin Hood’s time possible. It would have already stood close to its present size by that time. The canopy spreads to 92 feet, but its trunk is what visitors are most awed by: 33 feet in circumference. It stands about 53 feet, and its branches have been so massive as to need to be supported by posts since Victoria took the throne, lest they break off under their own weight. This would not kill the tree, but it would ruin its appearance, and thus, Great Britain has seen to its welfare. 260 of its acorns have grown into saplings, planted southwest in Dorset as a study of the Major Oak’s DNA, and what its descendants will look like. 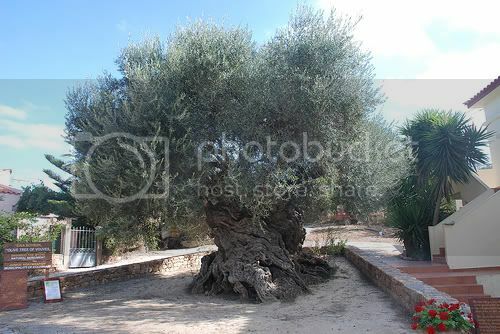 It is the oldest known olive tree on Earth, with a tree ring age of at least 2,000 years. Carbon daters have estimated it to be about 4,000 years old, and it still produces tasty olives today. It is 15 feet thick at the base, is not particularly tall, as olive trees go, but is, quite literally, gnarly. Totally gnarly. The trunk is magnificently swirled, knotted, and bulbous. This one may be the tree Pliny the Elder (23-79 AD) wrote of when mentioning a sacred Greek olive tree 1,600 years old in his lifetime. Though the olive trees growing in the Garden of Gethsemane, in Jerusalem, have not yet been verified to date back to the time of Jesus, several are claimed to be that old, and this tree is the same species, lending great credence to the possibility. Pando is Latin for “I spread.” It is not one tree. 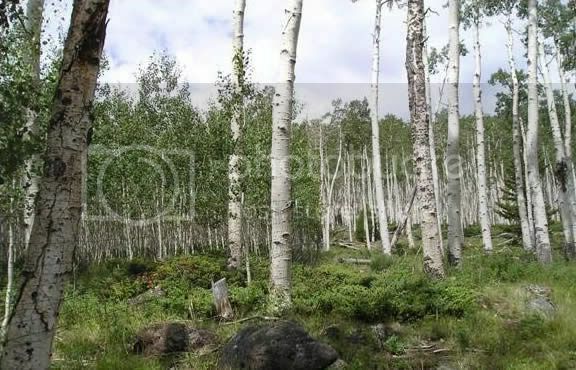 It is about 47,000 quaking aspen trees, all growing from a single root system. That root system is spread over 106 acres, is about 80,000 years old, and experts have no idea when it will die. It weighs about 6,600 tons, making it the heaviest organism of any kind known to exist in the Universe. The experts are fairly certain that it has not flowered for the last 10,000 years, thus the end of the last Ice Age. Every time a wildfire has burned down all its trees, the root system has survived underground and started anew. Each tree lives for about 130 years, dies, and is reconstituted through the roots and becomes a new tree, elsewhere, nearby. The trees reproduce by means of suckers, which are lateral roots sent out from each trunk until they sprout out of the dirt. These trees don’t look identical, but they have an identical genetic makeup, all spreading from one root system to form a single genetic individual, called a clonal colony. In fall, the leaves change to the color of gold brick and seem to glow in the sunlight. It grows on the eastern slopes of the very fertile Mount Etna volcanic soil, on Sicily, only 5 miles from the crater. 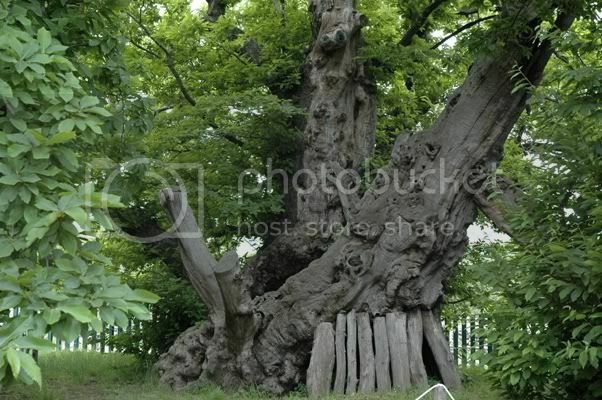 It is estimated to be at least 2,000 years old, and very possibly as old as 4,000, making it the oldest chestnut tree ever known, and the largest. In 1780, it was a single trunk measuring 190 feet in circumference at chest-height. It has since split into multiple trunks with empty space in the middle, but all the trunks share a single root system. Unlike #7, however, these trunks have not died. They are the same wood and branches as were seen by humans 2,000 to 4,000 years ago. This means it is at least 1,000 years older than King David of the Old Testament. The name comes from a legend that tells of a medieval queen of Aragon taking shelter under it with 100 knights, during a thunderstorm. The tree was able to cover all 101 people. Because it is the oldest known chestnut, much older than average, botanists have no idea when it will die. It is as healthy now as chestnuts that die of old age at 1,000 years. Gen. Sherman is only 275 feet tall. Compare that to the average oak tree, which grows to about 75 to 90 feet. General Sherman is a Giant Sequoia, not a Coast Redwood, and not even close to the tallest (see #2). What it is, however, is the most massive, non-clonal tree in the world, by volume. It has 52,513 cubic feet of wood in its trunk. This does not count branches. It is somewhere between 2,300 and 2,700 years old, which means it might have sprouted about the time the Book of Isaiah was written, before the Battle of Thermopylae. 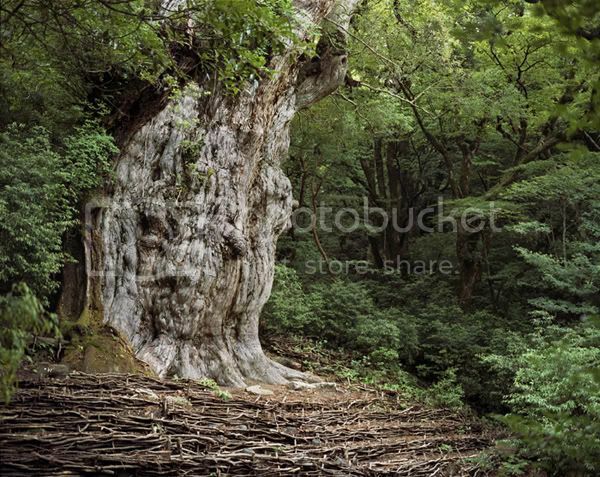 Its largest and most famous branch broke off on its own in 2006. It was in the shape of a golf club in pictures dating before then, and the tree discarded it as a defense mechanism in adverse climate conditions. That branch was larger than most trees, 6 feet thick, over 100 feet long, and required a flatbed truck to be taken away, after it was cut up. It fell 130 feet and left a crater in the cement walkway around the tree. 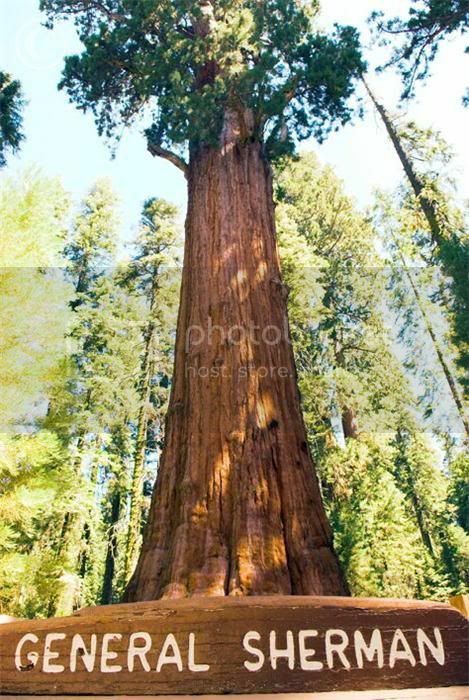 At chest-height from the ground, the trunk is 25 feet thick, making General Sherman 10 times thicker than the average full-grown oak. General Sherman’s root ball covers almost 2 full acres and contains over 100,000 cubic feet of dirt. That’s more than enough to fill up an Olympic-size swimming pool, and it sprouted from a seed that weighed 1/6000th of one ounce. 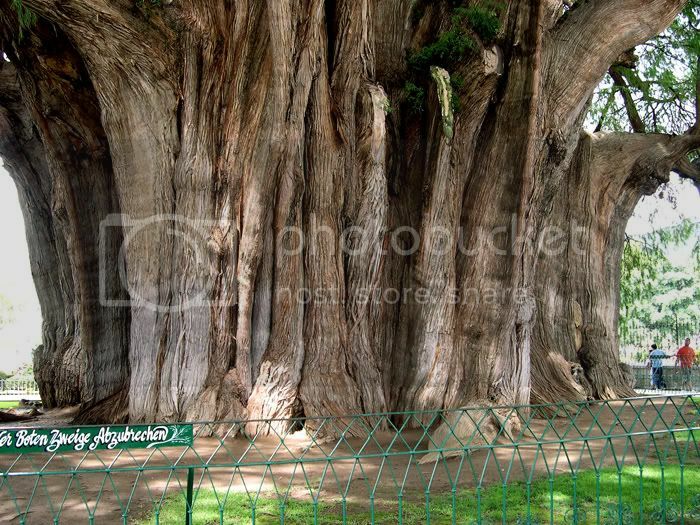 It stands 116 feet tall on the church ground of Santa Maria del Tule, Oaxaca, Mexico, and has the distinction of having the single widest trunk of any tree known on Earth: 38.1 feet in diameter. This is stouter than any known sequoia or coast redwood. The best estimate so far of its age dates it to anywhere from 1,400 to 1,600 years old. This actually concurs with a local Zapotec legend that tells of its planting 1,400 years ago by, Ehecatl, the Aztec wind god. It is stout enough to completely cover the average American house. Hyperion is a Coast Redwood, and has the distinction of being the tallest living organism ever measured. It is 379.3 feet tall. 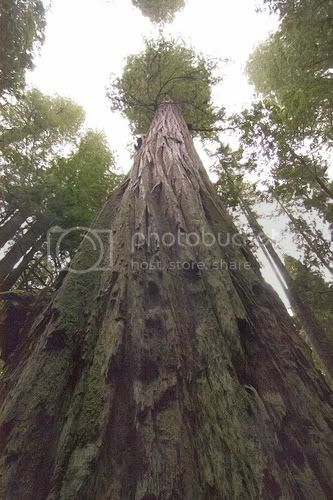 That’s 38 stories, 50 feet taller than the tallest habitable building in Washington, D. C. It grows in Redwood National Park and was not even discovered until 25 August, 2006, because all the trees around it are also redwoods, and are all gargantuan. Like all redwoods and sequoias (very similar species), Hyperion is so enormous that it possesses its own ecosystem, with full-size pines and hemlocks growing on its branches. It is so high that if you could avoid the branches (and other trees) on the way down, BASE jumping would be no problem at all. There are no confirmed photos of it on the Internet, because scientists don’t want it disturbed or damaged by tourists. Like the Giant Sequoia, you can fit about 10 coast redwood seeds on the face of a dime. 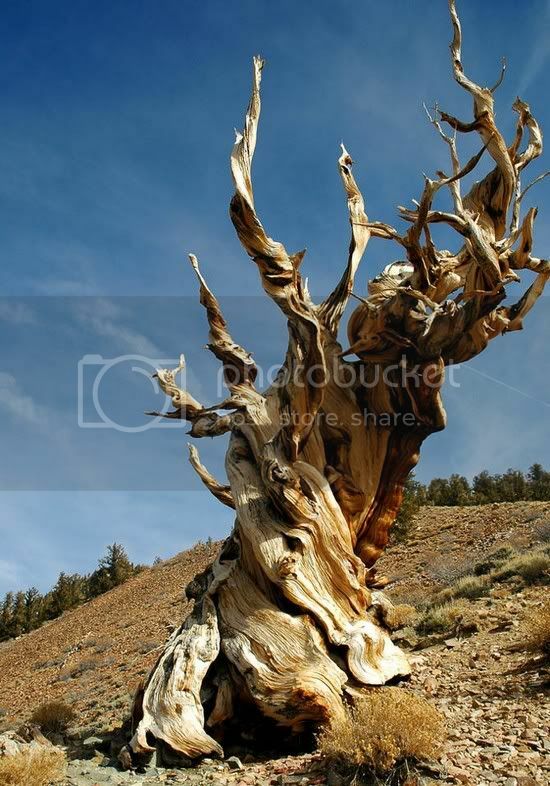 It is a Bristlecone Pine Tree, named after the oldest person in the Bible whose age is given. The Methuselah Tree is generally held to be the oldest living, individual organism on Earth, measured at 4,842 years and counting. The Bristlecone Pine species can take 700 years to grow 3 feet. It is located in the Bristlecone Forest of the Ancients, in Inyo National Park, in the White Mountains of Eastern California. Its precise location has not been divulged out of concern for its protection. Bristlecone Pines do not grow particularly tall, reaching 50 feet, with a trunk diameter of anywhere from 8 to 12 feet, making for a squat, solid tree, but what they lack in grandiose height they more than make up for by outlasting every other single organism on the planet. Methuselah still isn’t the oldest known. That was Prometheus, which was at least 20 years older than Methuselah now, before it was mistakenly cut down in 1964 by a dendrology student who had no idea how old it was. Prometheus might have been 5,000 years old or more, and Methuselah shows no signs of disease or weakness in any way. Researchers expect it to reach 5,000. Let’s put that into perspective. It sprouted out of the ground in c. 2832 BC. That’s about 1,500 years before Moses was born. Back then, Egypt’s Second Dynasty was just getting going and the earliest Egyptian pyramids would not be built for another 200 years. Methuselah is about 800 years older than the Maya civilization. Biblical literalists (this lister not among them, in this case) like to theorize that the Methuselah Tree was the first living thing to appear on Earth (aside from the things in the various boats) after Noah’s Flood. That’s dubious, at best, but it’s a fun idea.